Originally from New Orleans, and after Graduating from LSU, Frank and Betty Lou spent time in Wisconsin and Dallas, before settling in Atlanta in 1972. Married for 55 years, they have 3 children and 7 incredibly bright and beautiful grandchildren.....you other grandparents can relate to this! 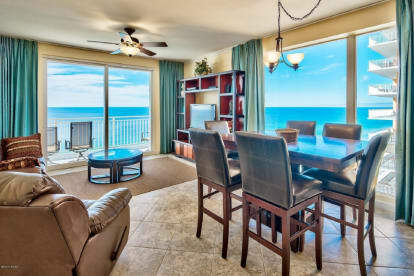 Panama City Beach is the emerging vacation spot for the Gulf Coast with far less traffic. A tremendous central venue known a Pier Park has vastly increased the enjoyment factors. Splash has a large beach with 4 private pools, a cabana bar, a fully equipped exercise room, a children's game area and access to many water sports, fishing, golf and excellent restaurants.